The “Freundeskreis der Anne-Sophie Mutter Stiftung e.V.” has been honoured with the “Live Entertainment Award” (LEA) for the promotion of young musicians. This purely symbolic award was presented at a Press Conference in the Frankfurt Gibson Club in March 2014 – in anticipation of 13 further awards which were handed over at a gala to start the Frankfurt Music Fair. The event industry has honoured the people behind the scenes in music and show business with the “LEAs” for nine years in the meantime. Michael Russ, President of the Association of Concert Management (VDKD), received the award as the Deputy Chairman of the “Freundeskreis”. 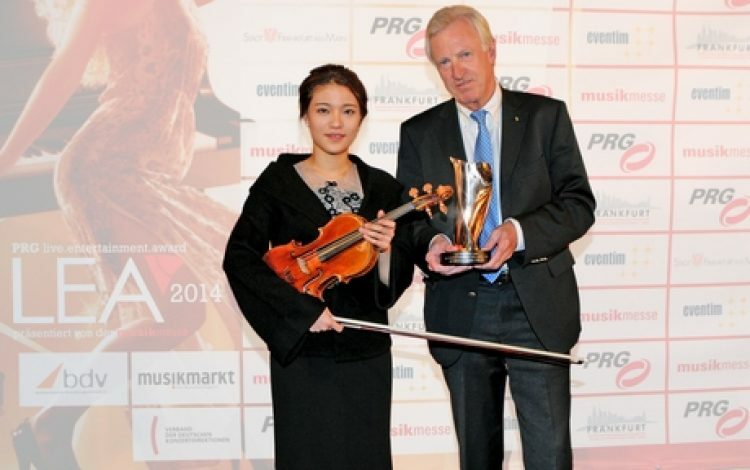 Also on the podium at the Press Conference: Ye-Eun Choi, who played Paganini’s Caprice no. 24 for solo violin. ”We are proud to receive that promotional award because it shows us that we are on the right track and it naturally also serves as a commitment to pursue this path”, as Michael Russ said at the gala event on the occasion of the “LEA 2014” in the Messe Frankfurt Festhalle. Taking Choi’s instrument as an example, he also explained the necessity for young soloists to use appropriate instruments as well as the financial challenges within this context in a discussion with moderator Ingo Nommsen. 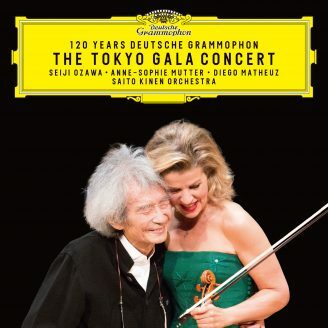 LEA 2014 für Freundeskreis der Anne-Sophie Mutter Stiftung e.V.